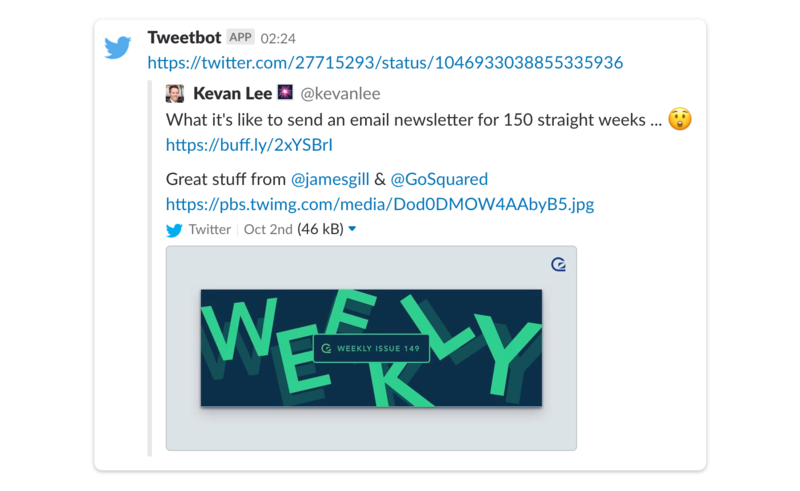 We first switched to using Slack for our internal team communication several years ago. A lot has changed since then (including Slack’s valuation), but we still use Slack day-to-day. The way we’ve used Slack on a daily basis has evolved over time, but one thing has been pretty constant: our reliance on Slack integrations. 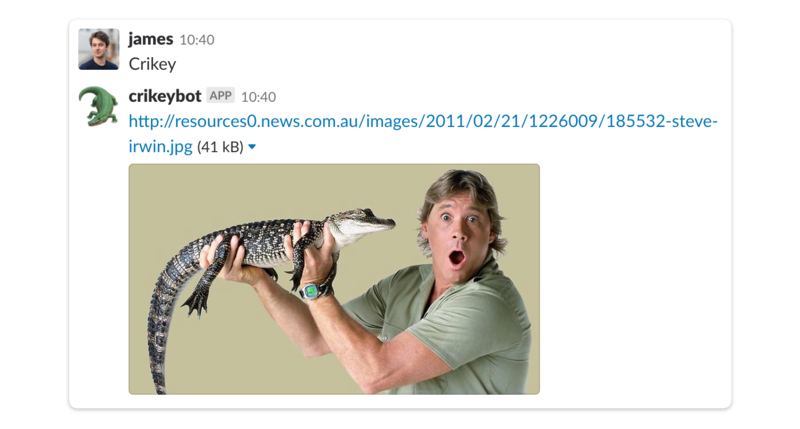 For those new to Slack, it doesn’t just enable human-to-human conversation among a team. In fact, most of the real power we’ve found from Slack comes from the ability to link it to third-party services, apps and bots, putting information directly in front of the team in a single place, and enabling them to get their job done more effectively without digging into dozens of external tools. We have an incredible number of apps and integrations set up on our Slack workspace. In fact, humans are outnumbered by bots approximately five-to-one. Managing the technical development of our own service and apps. Keeping tabs on security operations. Managing HR within the company. Upping our game on sales to win new customers. Being as efficient and effective as possible with our marketing. Delivering fast, delightful customer service. Tracking bugs, issues and customer feedback. Having the occasional bit of fun along the way. Hubot deserves a section to itself because it covers so many other aspects of how we use Slack. It would be remiss of us to post about our Slack integrations without dedicating a section to Zapier. Many of the integrations we have set up aren’t direct, first-party integrations – either because the service in question doesn’t support it, or because we wanted slightly more control over what data we received. 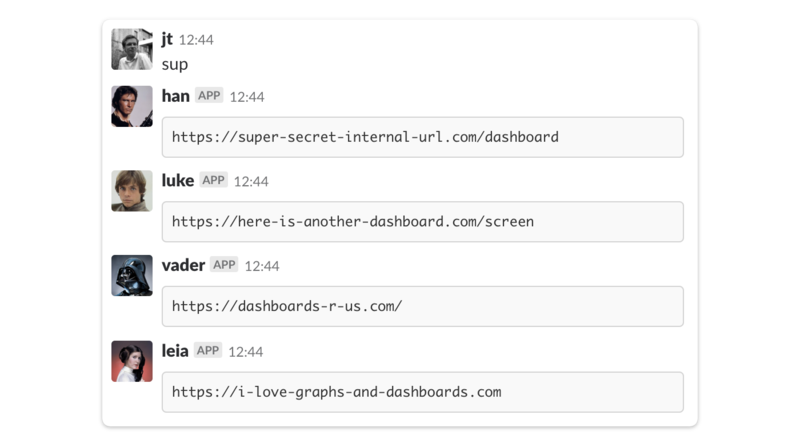 Zapier makes it incredibly easy to link any service you like into pretty much any other service (not just Slack). We’re huge fans of Zapier here for building simple things like this, which would otherwise require a lot of development and maintenance work. Slack’s real-time nature makes it invaluable for keeping up to speed on all the different moving parts of our technical infrastructure. We primarily use PagerDuty for processing alarms. When an alarm goes off, PagerDuty takes care of alerting an assigned team member via their service, but we also send the alert into Slack so everyone on the ops team knows what’s going on. If someone else is on hand, they can pick up the alert, with the help of Hubot. We have a channel dedicated to the operation and deployment of our mobile apps. In the process of developing, testing, and deployment of Android and iOS apps, there are several steps which require hitting a submit button and waiting for something to process. 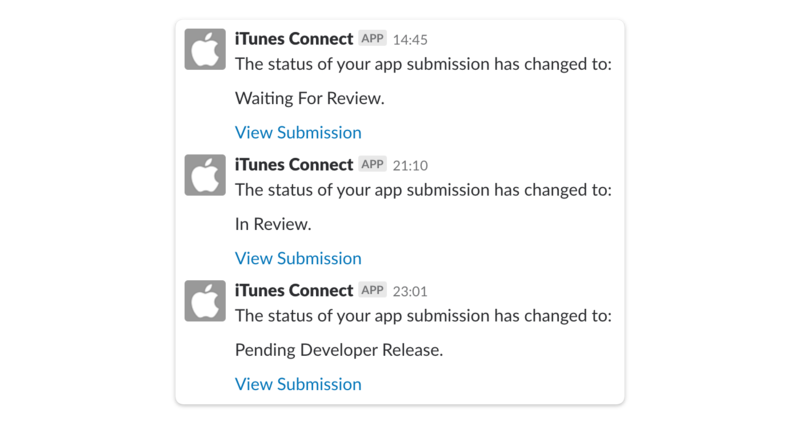 The iTunes Connect (now App Store Connect) and Play Store updates are built using Zapier: we have an email address which receives these updates from Apple and Google and forwards these to Zapier’s Email Parser which then processes and forwards the notifications into Slack. 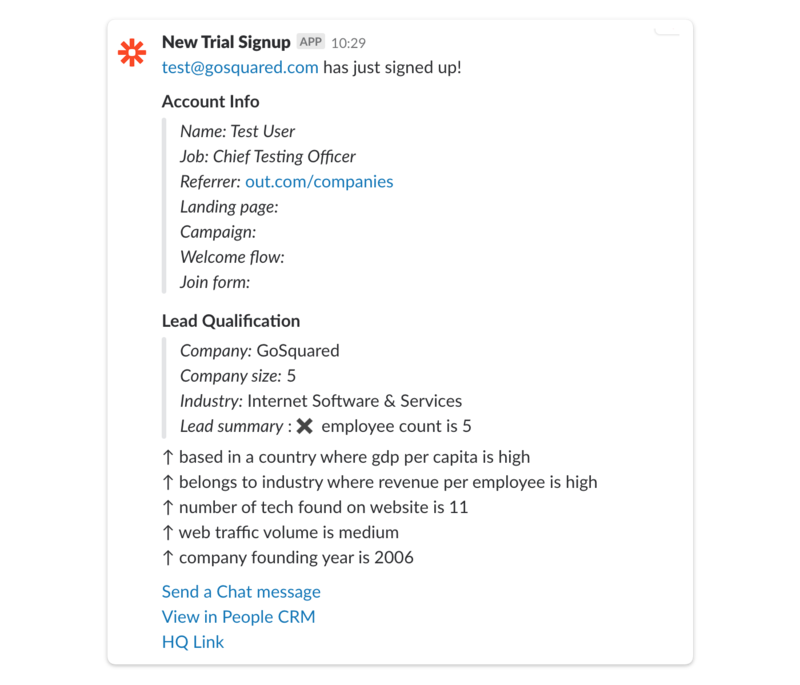 We pride ourselves on being able to provide great customer support, so we have a number of Slack integrations that help us manage accounts. We also use GoSquared Smart Group notifications to alert us to important events on someone’s account, so if someone looks like they might be likely to cancel, we can reach out and make sure they’re happy. 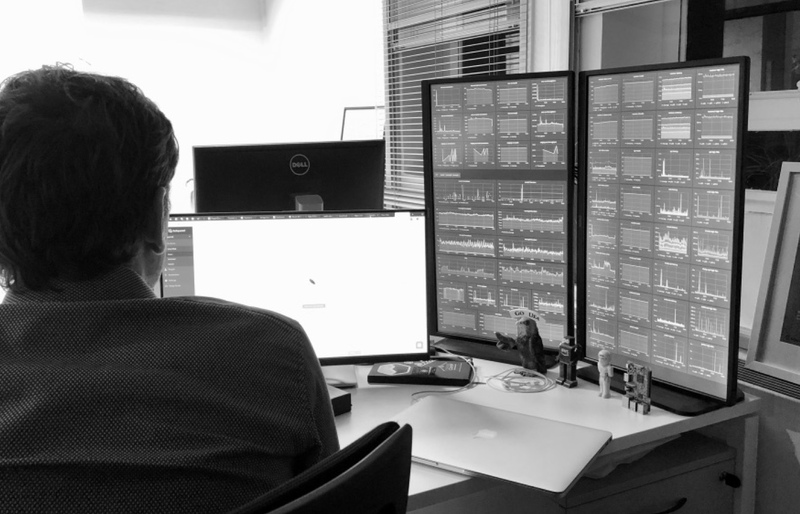 Dotted throughout the office, we have a number of screens showing dashboards and important metrics for the team to see at a glance. Each of these screens runs on a Raspberry Pi using a small Electron app and each has its own Slack bot persona which we use to control what is displayed where. That’s all folks. For now at least. 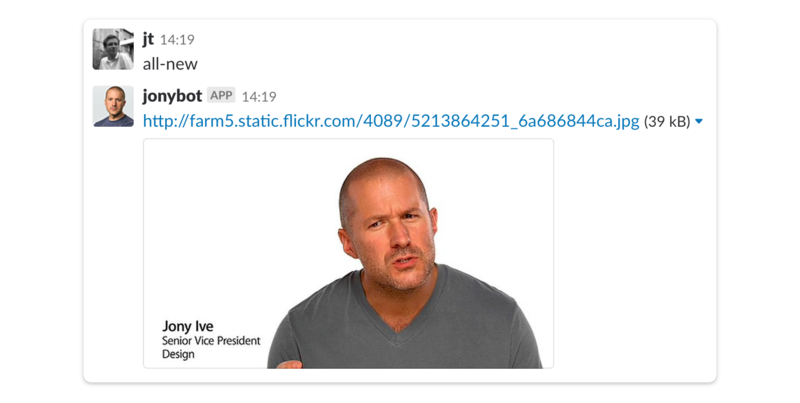 That’s a brief summary of our favourite Slack integrations. There are plenty more we use that I didn’t touch on here, and a whole universe of other apps that we haven’t even tried. 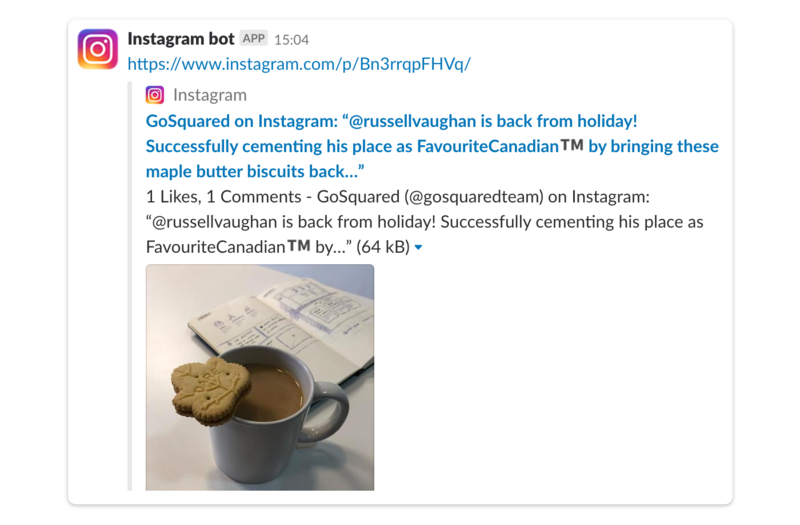 Do you have a favourite Slack integration that we didn’t mention? Let us know on twitter!